Five of the most charming Boutique Hotels in Seville. Seville, or Sevilla in Spanish, is one of my favourite Andalusian cities. It’s huge and one of the ‘famous three’ that most visitors head for when visiting southern Spain – Cordoba, Granada and Seville. I don’t know it as well as Cordoba or Granada and nowhere near as well as my nearest city – Jaen (pronounced ‘hi-en’) which is probably the least known of the eight cities and provinces that make up Andalucia. When I saw in the local Spanish paper ABC an article on ‘The five most charming hotels in Seville city’ I took note for the next time I go. Named after the poet Al-Mutamid, Boutique Hotel Casa Poeta, the house where he lived is located in the heart of the old quarter Santa Cruz with its maze-like narrow streets and enormous choice of bars and restaurants all around. 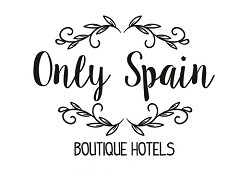 The hotel has a gorgeous interior Andalucian patio and individually-decorated rooms. The second hotel is in the area – Barrio de la Alfalfa. A beautiful ancient building once an VII palace, now completely renovated into this intimate boutique hotel with a minimilistic style and a great merging of modern and antique. In the heart of the Jewish quarter with lovely views the Rey Moro translates as Moorish King. Each bedroom has been decorated with a different theme. One of its main selling points is after a long, and hot day sightseeing you can relax in the jacuzzi with views of the Giralda, the Moorish tower. Located in the same house where the Moorish poet Al-Mutamid lived, Hotel Alcoba del Rey preserves that historical and cultural spirit one thousand years later. With a Moroccan/Arabian feel to make your stay here an unforgettable one. The final one on the list is Palacio Pinello Hotel Boutique in the heart of Santa Cruz quarter. Built on a XV palace it’s a charming hotel with lovely details transforming and merging ancient and modern with maximum comfort. Very tough choice, I love them all, perhaps a night in each! Photo Credits: Hotel photos from the individual hotel, Seville University official photograph and Jaen Monumental Cross is my own.